Hanoi (VNS/VNA) - A National Assembly resolution on non-performing loans will take effect on August 15 with lawmakers hopeful it will help resolve much of the remaining bad debts held by commercial banks and real estate projects across the nation. Resolution 42 allows lenders to process collateral as they see fit if debtors fail to cooperate with them on resolving their bad debts. Article 10 states that debtors’ collateral to banks is not limited to residential construction projects, as there is no clear legal restriction on other types of real estate, such as hotels, resorts, even factories and power plants, to be used in place of pledged assets. Resolution Article 7 also acknowledges credit institutions’ right to commandeer pledged assets from debtors, according to their debt contract, unless the asset in question is being held by litigation courts as evidence of a criminal offence on the debtors’ behalf. This is considered an improvement on the 2015 Civil Code, which does not stipulate recourse for pledged assets. Article 8 of the Resolution allows more transparent and simplified legal procedures in dealing with disputes over nonperforming loans. Additionally, Resolution 42 now allows for financial institutions capable of purchasing and selling bad debts to do so, instead of restricting these activities to Government entities. Bad debts can now be sold below their book values, meaning they are no longer toxic assets that have lost nearly all their value for commercial banks. Thus, banks can now sell off collateral bad debts at a lower value than they initially documented in their accounting tables, without fear of the sale being considered a loss, according to Chairman Nguyen Tien Dong of the Vietnam Asset Management Company (VAMC) who spoke at a conference last week on implementation of Resolution 42. 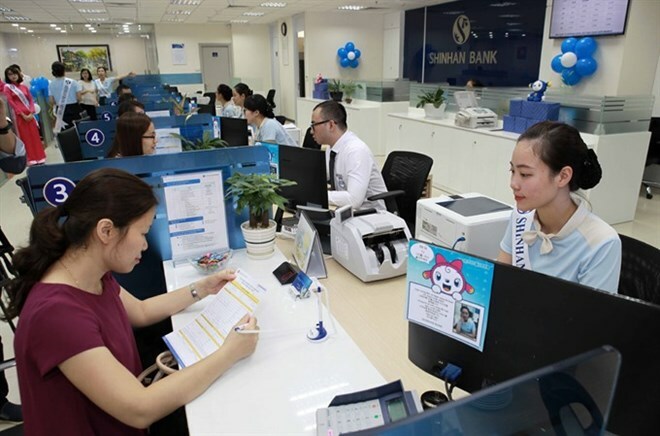 Overall, this can lead to bad debts being traded more frequently on the merger and acquisition market (M&A) in at least the next five years, according to a representative of the State Bank of Vietnam (SBV). Speaking at last week’s 2017 Vietnam M&A Forum, Nguyen Huu Quang, deputy head of the NA’s Financial and Budgetary Committee, said that after three and a-half years, some 42,000 nonperforming loans held by 50 credit institutions had been purchased through VAMC, retrieving up to 53.2 trillion VND (2.3 billion USD) in value. Since the beginning of 2013 till the second quarter of 2017, up to 616.7 trillion VND (27.4 billion USD) worth of national uncollectible loans have been dealt with, according to SBV data. Out of this amount, up to 56.7 percent was solved by lending credit institutions, while 43.3 percent was sold to other financial entities. Quang said that initially, the Government was aiming for commercial banks’ reconstruction, which gradually led to the need for a separate resolution on bad debts instead of simply tweaking the existing laws on credit institutions.